In 1978 the New York Yankees completed a tremendous back-to-back run when they won their second consecutive World Series on the grounds of Dodger Stadium in Los Angeles. 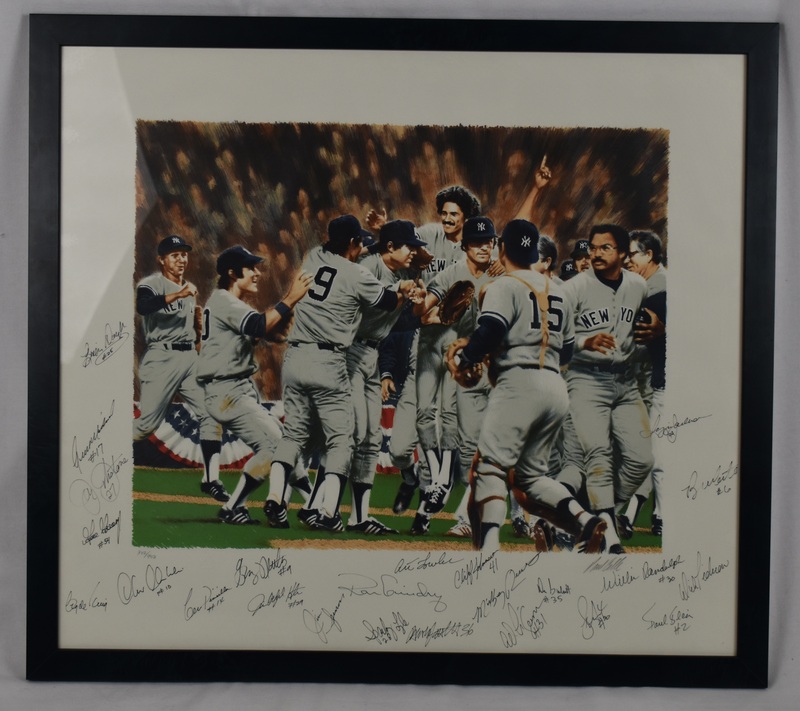 Artist Paul Calle has created the art for this limited-edition lithograph (#342/950) from a photo from that '78 Fall Classic. 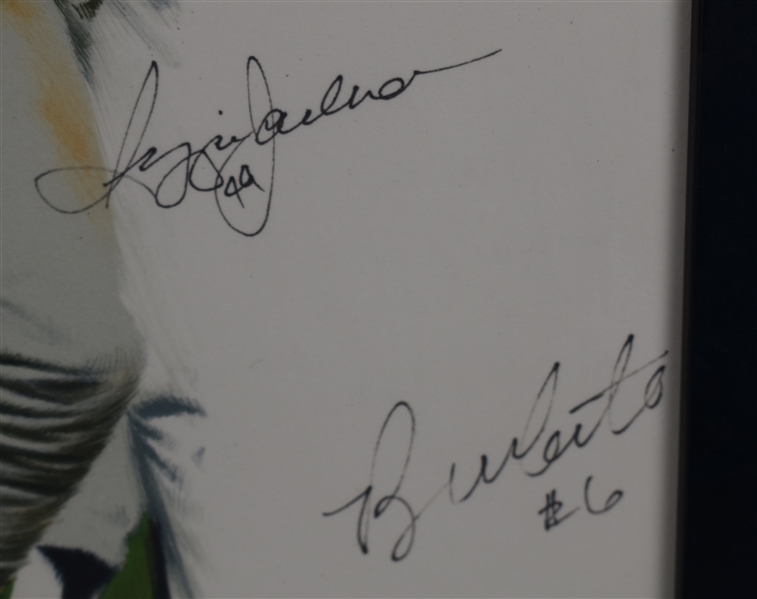 Sweetening the deal, several members from that Bronx Bombers squad have checked in here in the from of 24 top-notch signatures. 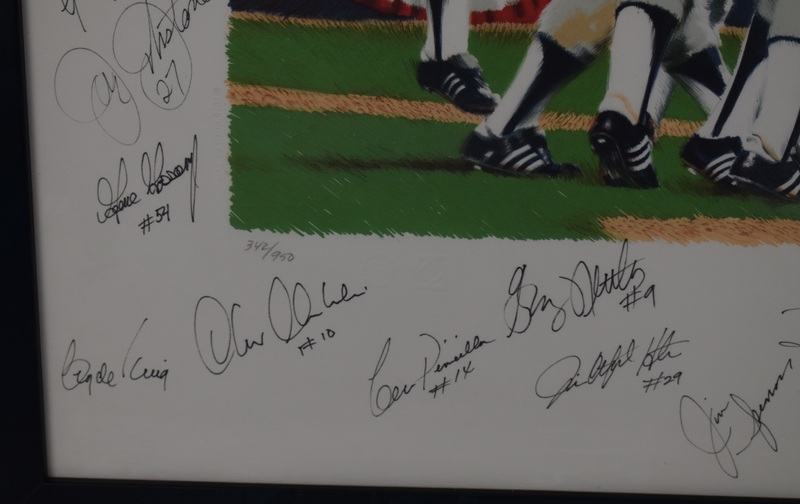 Highlights here include the autographs of Hall of Famers Reggie Jackson and Catfish Hunter, as well as such Yankee greats as Goose Gossage, Willie Randolph, Lou Piniella, Graig Nettles, Ron Guidry, Sparky Lyle, Cliff Johnson and many more. Also signed in pencil by the artist. Measures 23x26 and framed and matted to 32x35 inches.